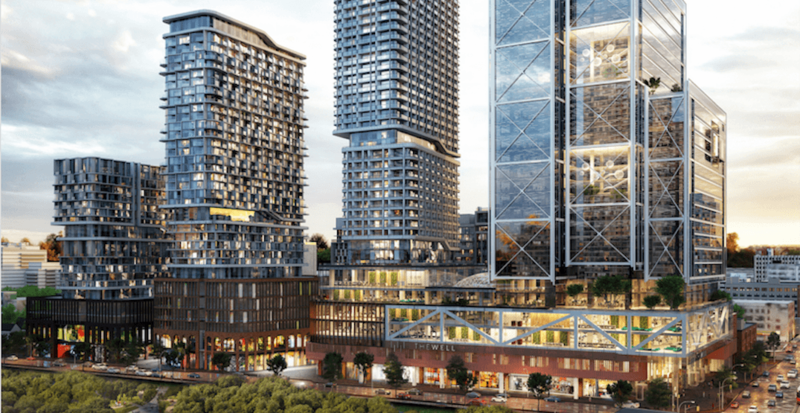 For those who frequent downtown, the massive hole along Spadina between Wellington and Front Street may have caught your eye. 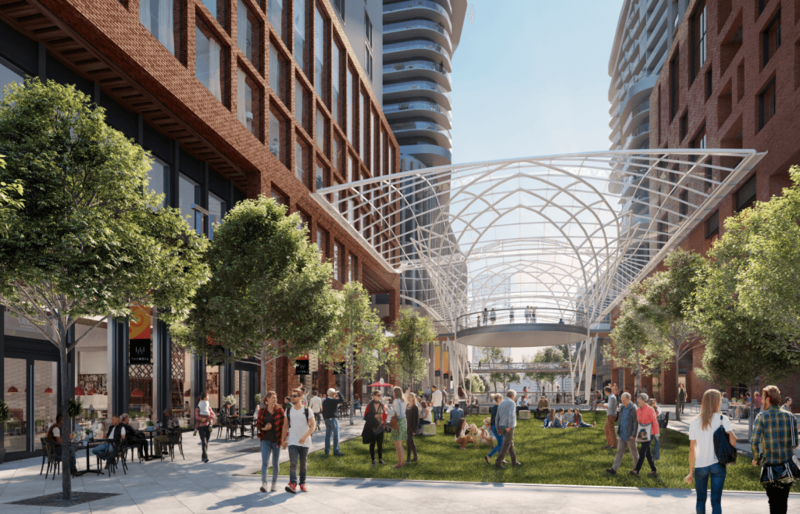 The giant empty space will soon be home to The Well, an ambitious mixed-use community that is expected to host 10,000 people on a daily basis. 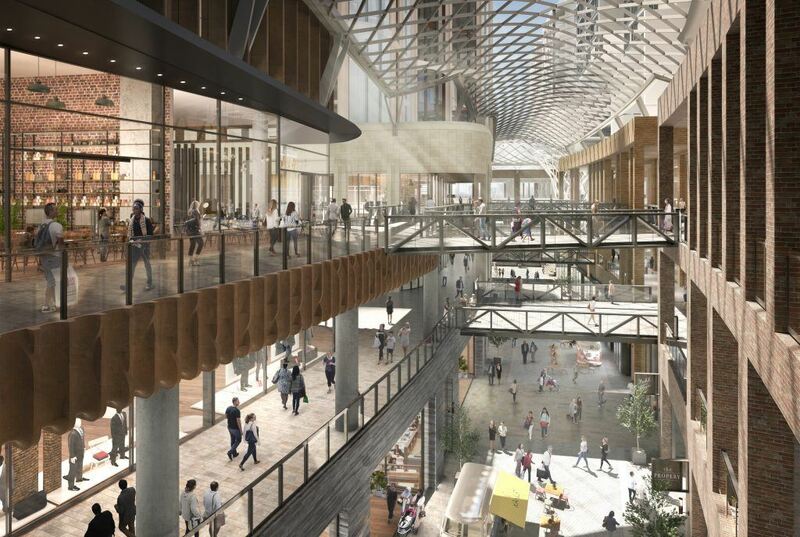 Construction on The Well began in 2017, and its design includes 1.1 million square feet of office space, 500,000 square feet of retail and food service space, and 1,800 residential units that will be spread throughout seven buildings connected to a three-level retail base. 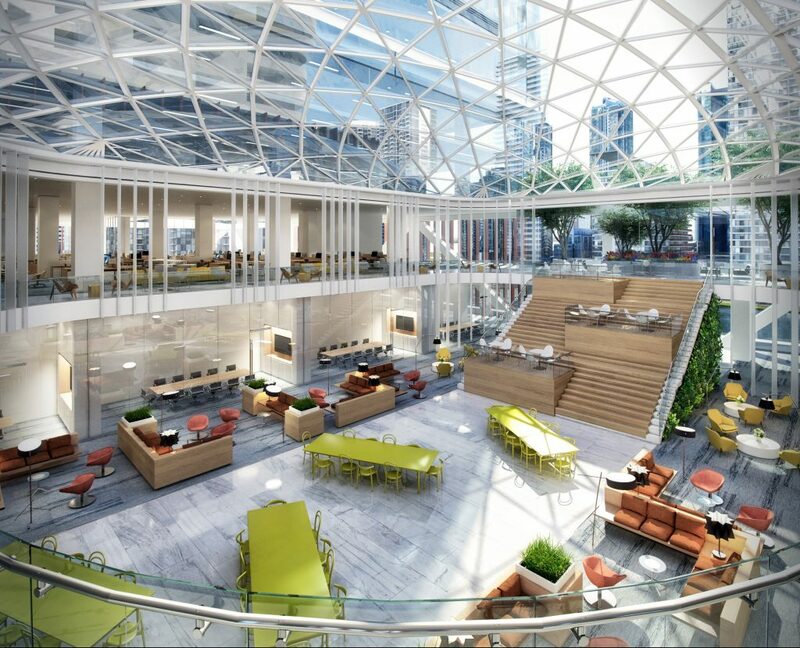 The Well is being developed through a partnership between RioCan REIT and Allied Properties REIT. According to developers, the new buildings will be pedestrian friendly, and will include a dramatic, sculptural glass canopy suspended above The Well, covering 60% of the main east-west connection. This will make it easier to walk through all year round. “The Well’s neighbourhood is a storied one, where hundred-year-old industrial properties have seen the laboured sounds of heavy machinery transformed into the gentle hum of computers and the promising buzz of new ideas,” reads the building’s website. 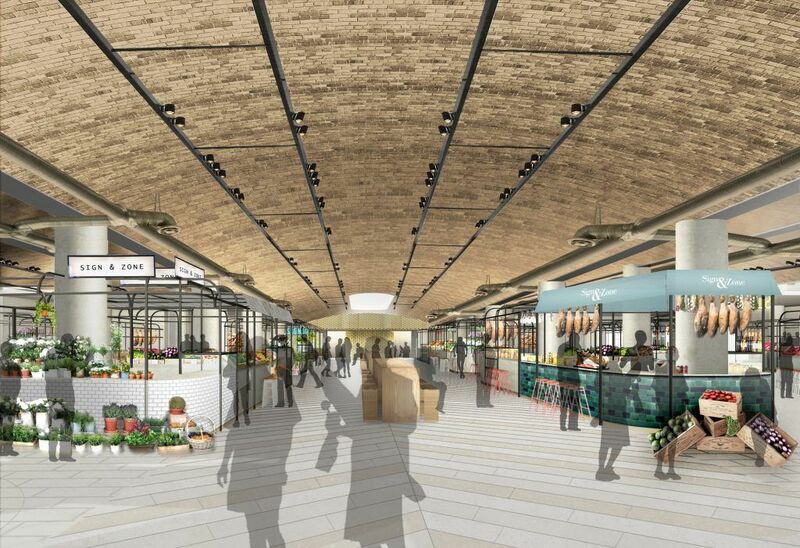 Retailers, including fashion up-and-comers and established world-class brands, are expected to populate 500,000 square feet of indoor and outdoor retail space. 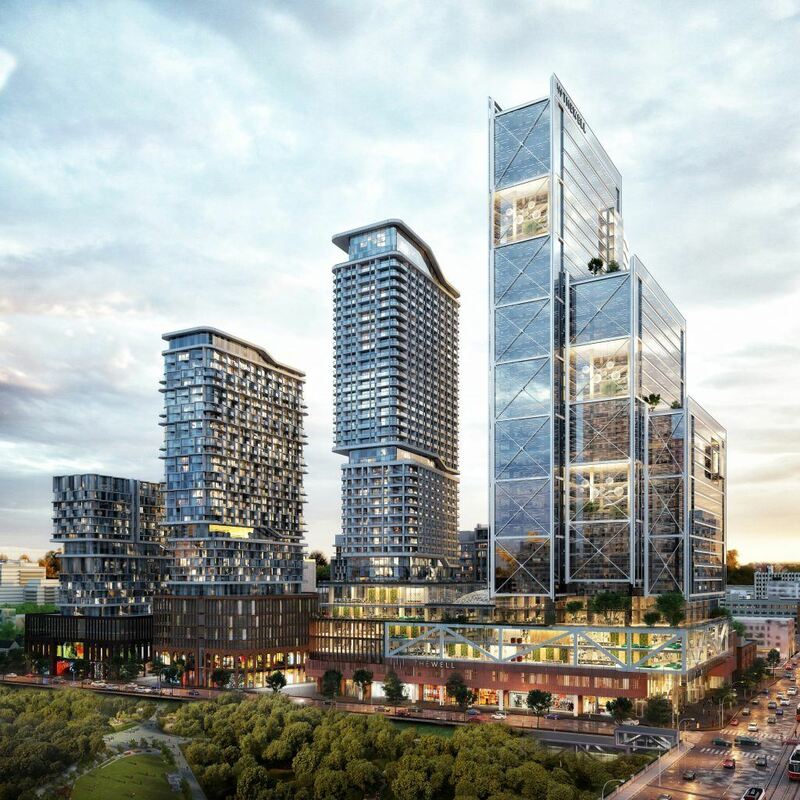 At this time, there is no projected date of completion, but expect a new neighbourhood hangout near the already vibrant King Street West soon.